Our youth sports programs balance fun with valuable instruction. The main focus is on participation and learning, not on competition. We believe in teaching more than sports skills. Good sportsmanship, dedication and respect are all part of the Lancaster Rec youth sports experience. Our youth dance classes strive to balance the mind, body and spirit through positive experiences. We aim to provide a lifelong motivation and determination to stay fit and healthy. Check out our scholarship information. May 7, May 22, June 6 / 5-7 p.m.
May 22, June 6 / 5-7 p.m.
Batter up! 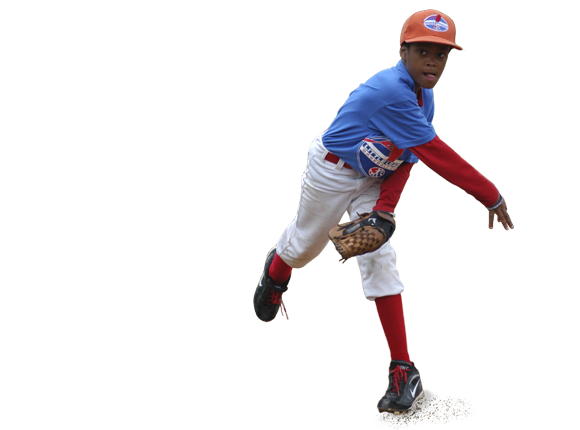 Learn the fundamentals and rules of the game in our Little League Tee ball & Rookie leagues and move your way up through Lancaster Baseball 14U. *Fall 2019/Spring 2020 age chart coming soon! Lancaster Baseball is for ages 9 to 14. 10U, 12U & 14U players are assessed by skill level and placed on the appropriate team. Practices and games are held at Lancaster Community Park, Lancaster City Parks and School District of Lancaster ball fields. For more information on Lancaster Baseball, click here. Important: Players for 10U, 12U and 14U must attend the mandatory skill assessment and registration. Players are assessed by skill level and placed on the appropriate team. Fall Baseball 2019 – Ages 9-14 – Registration date to be determined. Step up to the plate! Learn the fundamentals and rules of the game in our Little League Tee ball league and move your way up through 12 & Under softball. 10U & 12U players participate in the Lancaster County Youth Softball League. Players enjoy being part of a team and friendly competition. Practices and games are held at Lancaster Community Park, Lancaster City Parks and School District of Lancaster ball fields. Develop your skills & get ready for the season with the Millersville University Softball Team! Nothing but net! This fundamental coed program develops a strong skill foundation with appreciation for the game of basketball. Players participate in scrimmages to experience a non-competitive game environment. Practices are held in School District of Lancaster gyms with three Saturday morning scrimmages played at the Lancaster Recreation Center. It’s a slam dunk! These two leagues offer great fundamental basketball experiences for boys and girls. Players receive equal playing time to create an atmosphere of skill development and sportsmanship. Practices and games are held at School District of Lancaster gyms. Our basketball league is competitive with the spotlight on learning, improving and having fun. Playing time is balanced so players of all ability levels can develop skills through game play. Coaches encourage good sportsmanship and teamwork. Games and practices are held at School District of Lancaster gyms. Registration: Register in person at the Lancaster Rec Center April 27 @ 9:30-11:30 a.m. / May 8 @ 5:30-7:30 p.m. Looking for a summer basketball league? Look no further! Teams will be coed. Coaches will notify players of practice days and times. Games will be played at Brandon Park. CJ’s Hoop for Hope is a partnership program and is not operated by Lancaster Rec. Register by May 17 or until full. Registration: Register in person at the Lancaster Rec Center May 22 @ 5-7 p.m. / June 6 @ 5-7 p.m.
Our cheerleaders support Jr. Tornado Football teams. Participants learn cheer fundamentals while showing their spirit, making friends and having fun. Practices are held at Lancaster City/Township Parks or SDoL facility. Squads practice during the week and cheer at football games throughout Lancaster County on weekends during the fall. Register by June 6 or until full. Pump it up! Our cheer clinic emphasizes enhancing spirit and basic skills such as cheers, chants and beginner stunting. Clinic is held at JP McCaskey Varsity Softball Field. Register by May 3 or until full. Coed Ballet, Jazz, Lyrical, Tap and Hip Hop classes for children and teens. Classes begin the week of August 26 through June 2020 at the Lancaster Rec Center. Dance in the end-of-the-year recital at McCaskey High School! Visit our Lancaster Rec Center to register. Want to try a dance class? Want to keep dancing over the summer? This camp is for you. No recital, just have fun! Register by July 1 or until full. Learn the fundamentals of field hockey as part of our Future Red Tornado Clinics, led by the McCaskey High School coaching staff. Register by April 19 or until full. Boys and girls learn football skills and plays in a non-contact environment. Fun, fast-paced practices and games are held at Lancaster City and/or Township Parks and/or SDoL fields. NFL jerseys are worn for games. Register by August 30 or until full. Registration: Register in person at the Lancaster Rec Center May 7 @ 5-7 p.m. / May 22 @ 5-7 p.m. / June 6 @ 5-7 p.m.
Be a part of the Lancaster City/Township youth tackle football program. Our emphasis is on learning, playing and enjoying the sport of football safely, while also fostering sportsmanship, teamwork and self-discipline. McCaskey’s football coaching staff will be training our volunteer coaches in accordance with the skills and standards used at the high school level. Our teams will play in the Red Rose Midget Football League in the B, C and D divisions. Practice will be at the McCaskey practice football field, with home games in the McCaskey stadium. Practices begin the first week of August. Let’s get ready to tumble! Children learn the basic gymnastics movements including cartwheels, handstands, back bends and more. Our partnership with Fusion Gymnastics brings experienced instructors and age-appropriate equipment to this great program. We practice in the Lancaster Recreation Center Gym. Get off to a great sporting start with your preschooler. This coed program eases your child into the world of sports. Kids and parents work together to get accustomed to an organized practice in a fun, non-threatening environment. Instructors focus on sport-specific skills as well as incorporating hand-eye coordination and agility. 5-week sessions in basketball, baseball, flag football and soccer at the Lancaster Recreation Center gym. Registration: Register in person at the Lancaster Rec Center by August 16 or until full. Our youth soccer program focuses on the fundamentals of the world’s most popular sport. Boys and girls of ability levels enjoy teamwork and good-natured competition. Practices and games are held at Lancaster City and/or Township Parks and/or SDoL fields. Register by August 16 or until full. Learn the fundamentals of soccer as part of our Future Red Tornado Clinics, led by the McCaskey High School coaching staff. Register by July 19 or until full. Get ready for summer! Children will learn this essential life skill while having fun. Lessons are taught by the McCaskey High School Swim Coach and certified lifeguard instructors. Learn the fundamentals of swimming as part of our Future Red Tornado Clinics, led by the McCaskey High School coaching staff. Our youth tennis programs emphasize fun and fitness. Learn and refine the skills that make tennis fun and great exercise for a lifetime. Lessons are held outdoors at Buchanan Park. Register by July 5 or until full. Join us for one of our Future Red Tornado Summer Tennis Camps! Learn tennis skill fundamentals led by the McCaskey High School Tennis Team coaching staff along with help from the high school tennis team. Register for June Session by May 24 or until full. Register for August Session by August 2 or until full. On your mark…get set…GO! Our coed Jr. Tornado Track Club focuses on teaching the basics of track and field and is a great way to get your child active and healthy. Instructors stress running technique and proper mechanics while building endurance and confidence. Practices are held at the McCaskey High School track. Register by April 26 or until full. Led by the Franklin and Marshall College coaches and team, players will practice skill fundamentals and learn to work as a team. Children ages 18 and under who qualify to receive free or reduced-price lunch and live in the City of Lancaster or Lancaster Township are eligible for scholarships to help pay the cost of youth sports and dance program registration fees. Applications are accepted year-round. To apply, fill out and return the application form and parent survey. Be sure to read the scholarship guidelines. Scholarship Application and Guidelines Haga clic aquí para la versión en español. Parents are held to a standard of behavior that provides a positive youth sports environment for all children through encouragement as well as support for volunteer coaches. Coaches are held to a standard of behavior that provides a positive youth sports environment for players. Focus is placed on a child’s growth and development, sportsmanship, respect, and fundamental skills. Parent Code of Conduct Haga clic aquí para la versión en español.